If you follow us on Facebook or Instagram, you might have seen some photos teasing a project we’ve been working on for a couple months: The Redirect Podcast. 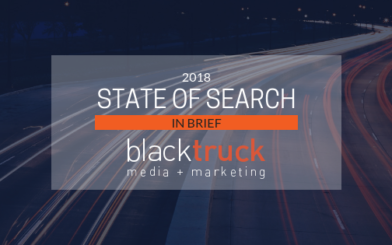 The Redirect is a weekly podcast of search industry research, discussion, and analysis, featuring the BlackTruck Media + Marketing team and an occasional guest. Earlier this year, our Friday morning team meetings included each of us sharing what we’d been reading in industry news throughout the week. 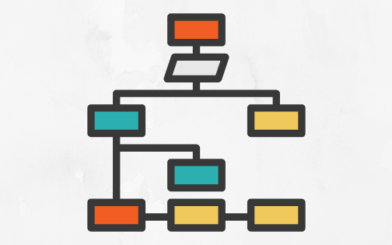 We thought, hey, our discussion could also help people interested in SEO keep up with what’s happening in the search engine marketing, search engine optimization, and digital marketing world. Now, we gather around a microphone at our conference table and record the conversation. The podcast began as Friday morning meetings with coffee, but has shifted into Friday afternoon meetings with beer (you might even notice this change somewhere along your listening journey…). We’re having a lot of fun with The Redirect, and we’re excited to continue sharing our discoveries and thoughts with you every Friday with a new show. Our first seven episodes are described and embedded below. Subscribe to The Redirect Podcast on Soundcloud, iTunes, or Stitcher. The pilot episode for The Redirect Podcast from the BlackTruck Media + Marketing team. A weekly discussion of search industry trends, analysis, and action items. Episode 2 of The Redirect Podcast: Amazon loses its 1-click checkout, and what does this mean for other E-commerce players? Also: discussions around The State of Internet Marketing from the team at WordStream, Google Assistant comes to iOS, and expanded carousel ads inside AdWords are being tested. Episode 3 of The Redirect Podcast: We recap a great industry event, The Inbounder NYC, with great insights on machine learning and the future of search. How AMP is expanding into AdWords with AMP Ads, and powering local SEO efforts with reviews and location data. Episode 4 of The Redirect Podcast: We dive into Mary Meeker’s famed Internet Trends Report for 2017 and discuss what it means for search marketers. DMOZ finally goes away, and a focus shift of featured snippets for your users. Episode 5 of The Redirect Podcast: We deep dive on our experience at #SearchLove Boston, put on by the team at Distilled. What were the highlights of the event, action items that we took away, and how you can put those into play in your business. In Episode 6, we explore Google Posts that are now live in all Google MyBusiness listings, plus tips for generating content every day. Episode 7 explores ways to use data to create better content, AdWords ad headline testing, and why marketers need to pay attention to voice search now, more than ever. For more information on SEO/SEM and content marketing strategies, visit the BlackTruck Media + Marketing blog, and subscribe to The Redirect on Soundcloud, iTunes, or Stitcher.